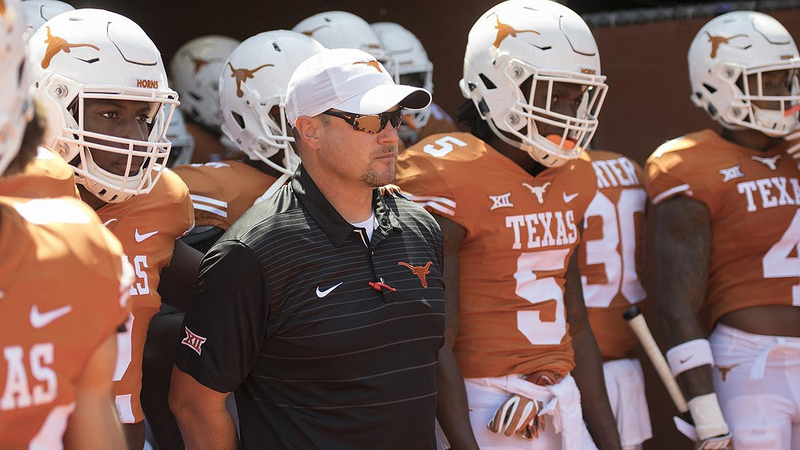 Texas football head coach Tom Herman said he and the Longhorns relish the underdog role placed on them for Saturday's Big 12 championship game against Oklahoma (photo courtesy of texassports.com). AUSTIN, Texas — The 113-game history of meaningful football between Texas and Oklahoma dispel the notion that “familiarity breeds contempt.” In fact, if there’s anything to be learned learned about the Longhorns and Sooners through the years, it’s just the opposite of that axiom: there’s a mutual respect between the two teams, forged by playing the game at a level many other programs never experience. While that’s a given, that familiarity and esprit de corps will be the last thing about which the Longhorns and Sooners will be thinking when they square off for the second time this season with the Big 12 Championship on the line Saturday at AT&T Stadium in Arlington. Yes, UT beat OU earlier this season in the Red River Showdown at the Cotton Bowl in Dallas, a memorable 48-45 victory produced in the final seconds by the right foot of freshman kicker Cameron Dicker that garnered Texas the famed Golden Hat trophy and, for a while, a spot in the national top 10. “This is not the Red River Showdown, this is not October,” Texas coach Tom Herman said Monday at his regular game week media availability. “That game was played in the Cotton Bowl, and that's played for the Golden Hat, and that one is over. The Longhorns (9-3 overall, 7-2 in Big 12 play) will be underdogs against Oklahoma (11-1 overall, 8-1 in Big 12) in the Big 12 title game, but that’s not something Herman or his team really considers a slander or a detriment to their preparation. “We always see ourselves as underdogs,” Herman said. “We've got a little chip on our shoulder. We have a saying, you know, ‘train like you're the underdog and play like you're the champ.’ So we relish in that distinction of being the underdog and we take a lot of pride in training like the underdog. When Herman and his players think about the Sooners, two things readily come to mind: how they corralled Oklahoma’s potent and high-scoring offense for about 52 minutes in October, and, how the Sooners tied the game by scoring three touchdowns down the stretch to tie the game. “We need speed — you've got to be able to run against (Oklahoma),” Herman said. “We ran with 'em pretty good in October. Yeah, I mean, it's all hands-on-deck on defense going against these guys. I go back to the Armageddon quote: ‘Scariest environment imaginable’ ... right? ‘Scariest environment imaginable’ — gotta be. Saturday marks the first time since 1903, and just the third time ever (also 1901), that Texas and Oklahoma will meet for a second time in a season. The last time the rivals played anywhere other than Dallas (Fair Park Stadium or Cotton Bowl) was 1923 at Clark Field in Austin, one year prior to construction of what’s now called Darrell K Royal-Texas Memorial Stadium. The Longhorns are guaranteed a big postseason destination, maybe New Orleans, or Atlanta or San Antonio, regardless of the outcome of Saturday’s game. UT's ascent shows that Herman and his staff have pushed the correct buttons this season and have the Longhorns believing in themselves. An updated, and optimistic, injury report: The only player in question for Saturday’s game is safety Brandon Jones, who suffered a head injury during a punt return last week in the second quarter against Kansas. 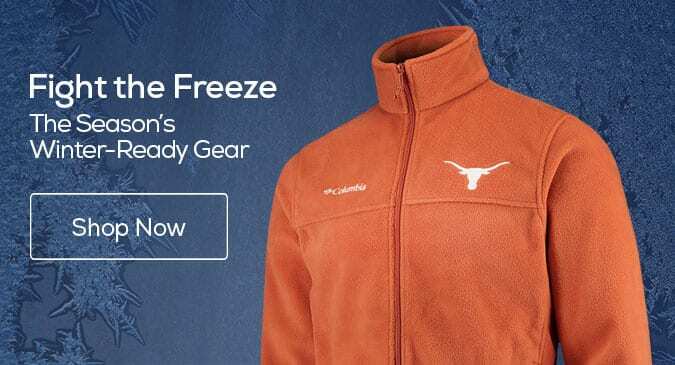 Herman admitted what everyone already knew: that Texas quarterback Sam Ehlinger was not at his best last week against Kansas because of a lingering shoulder injury.